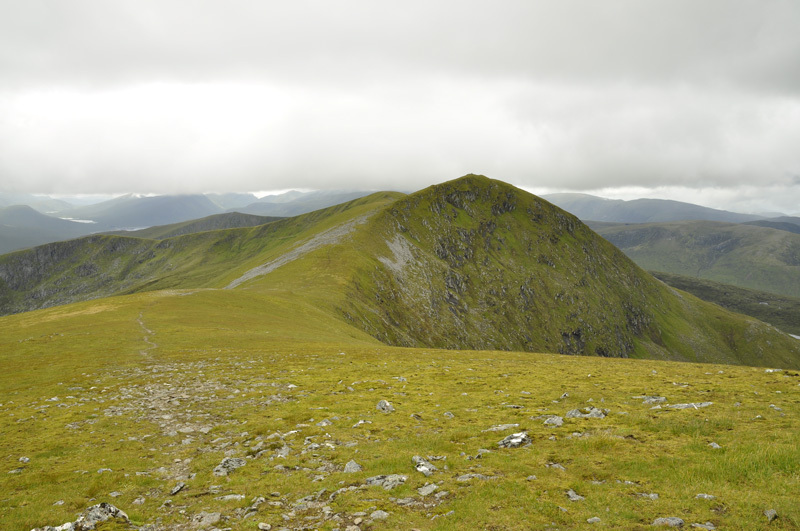 Sgurr Fuar-Thuill is one of four Munros on the N side of Glen Strathfarrar but is set apart from the other three. 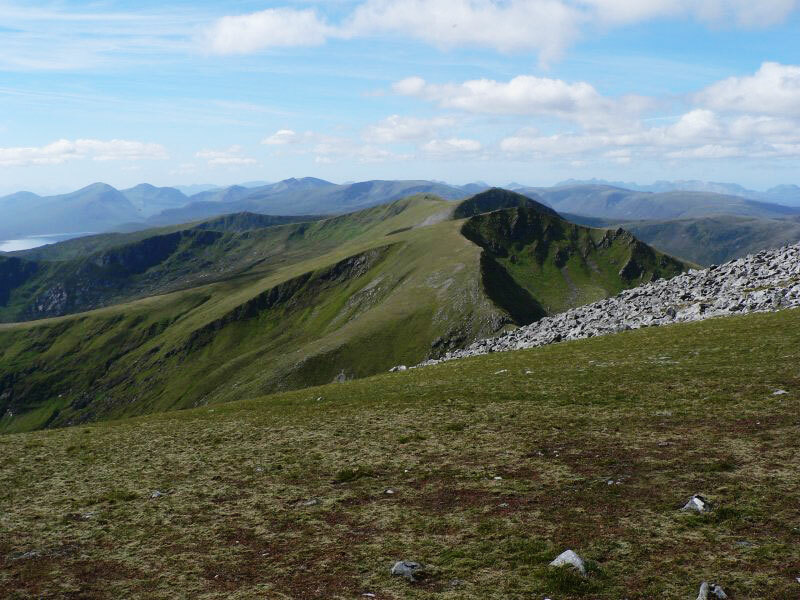 Sgurr Fuar-Thuill is central of three similar sized peaks on a ridge connected at its E end to Sgurr a' Choire Ghlais. To the N of the ridge are steep slopes close to the summits. 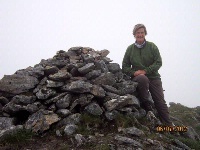 The E peak, Creag Ghorm a' Bhealaich (1049m), has a narrow steep sided and, in places, rocky S ridge, which becomes less steep below 600m. 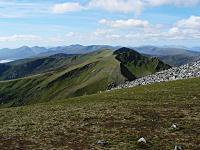 The W peak, Sgurr na' Fearstaig (1015m), has a winding S ridge with a steep and rocky E face. The normal ascent is via the path by Allt Toll a' Mhuic which leads to the coll between Sgurr na' Fearstaig and Sgurr Fuar-Thuill. Sgurr Fhuar-Thuil from Sgurr a'Choire Ghlais. Looking West back along the ridge. 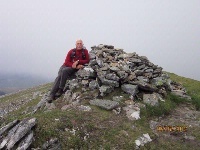 The summary information of one or more ascent routes that include Sgurr Fuar-Thuill. 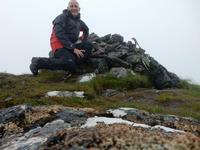 Post a few words about Sgurr Fuar-Thuill or read what others have had to say. Take care to observe gate opening times; I get the impression they're strictly enforced. We walked West to East to take advantage of the prevailing wind but having done so I would recommend this. Sgurr Fuar-thuill and Sgurr a Choire Ghlais are the harder two hills being steeper and rockier and it gets them done early leaving an easier finish. However there really are no difficulties at all on this walk. We took 7 hours at comfortable pace for the off road section. Definitely recommend a bike or two cars so you can avoid the 6km yomp back along the tarmac to the start. A great day out! Agree west to east best, good path most of the way round only at trig point on Sgurr a choir ghlais where head north east do you briefly lose the track. Moving fairly quickly took just over 5 hours to get back to the road 6km from start, so bike or second car useful. Beautiful glen. Either take a bike to be left at the exit point or have two cars.The walk along the road is exhausting! Best to do the walk West To East. Although missing out of the views, the path on the walk in is excellent and the walk out is easier on the undefined path. The gate opened promptly at 9.00am, so always walking against the clock to make sure I wasn't left in with the sheep overnight! Did this 23/7/05. We found the gate at Struy unlocked at 8 a.m. and were able to start the ascent at 8.23. 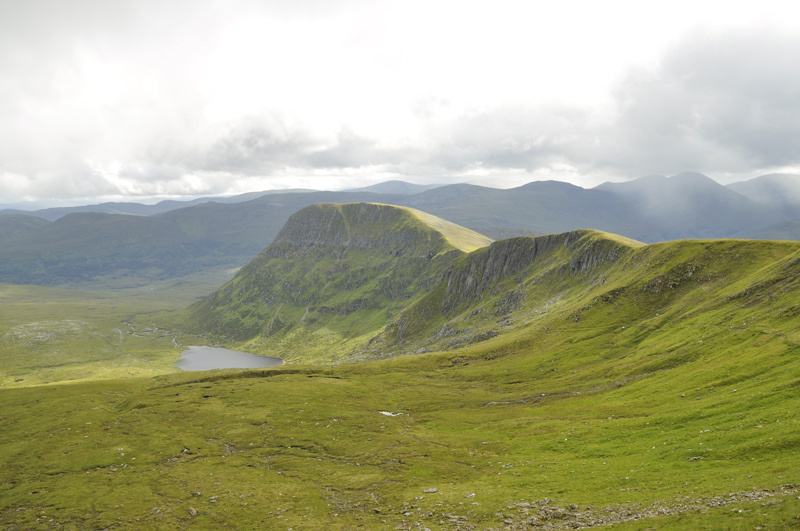 A great path up to Sgurr Fuar-Thuill and a really good ridge walk thereafter. We had a bike at the far end to take us back to the car at Bruar Lodge. Some means of cutting out the road is essential to avoid a really long day. 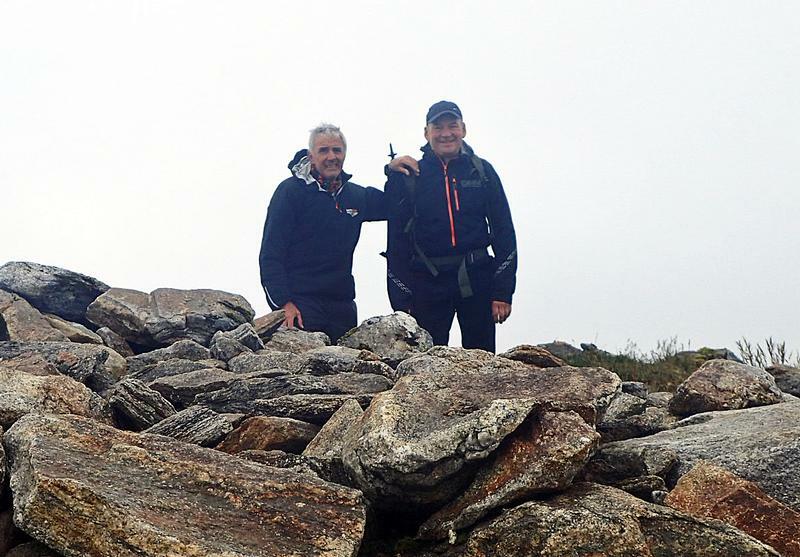 We were done in 9 hours and enjoyed down time on most summits. A top day.